With its versatile electronics, you can find all your favorite classic sounds and find many new tones awaiting you with the Further. Start with it clean and clear, and you'll find that when you add distortion or other effects through the onboard effects loop, you won't be distorting an already distorted signal, and the result is much more musical. Of course the look is there too: gorgeous Quilted Maple top paired with a highly figured Flame Maple back are stunning with the Purpleheart core. We include 4 alternating veneers of Maple and Purpleheart between each side of core for a fabulous bound effect. 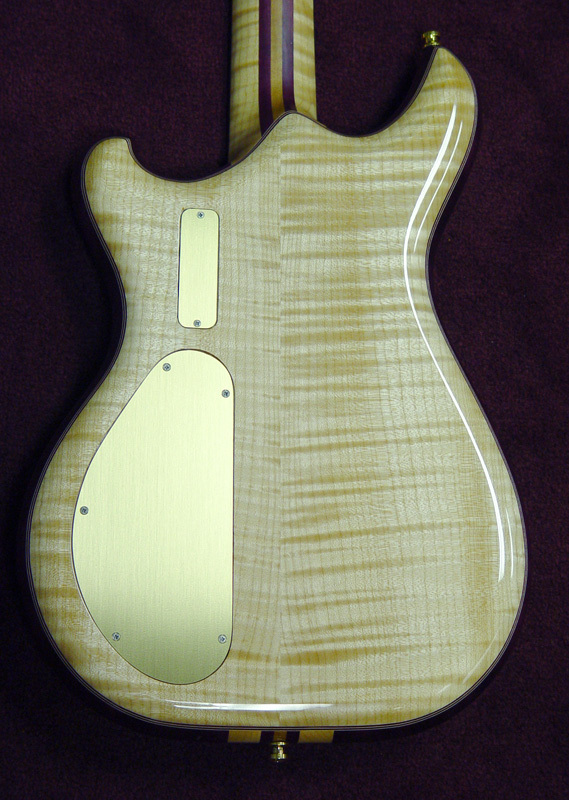 This time, we used a bookmatch to center back laminate for a subtle custom touch. 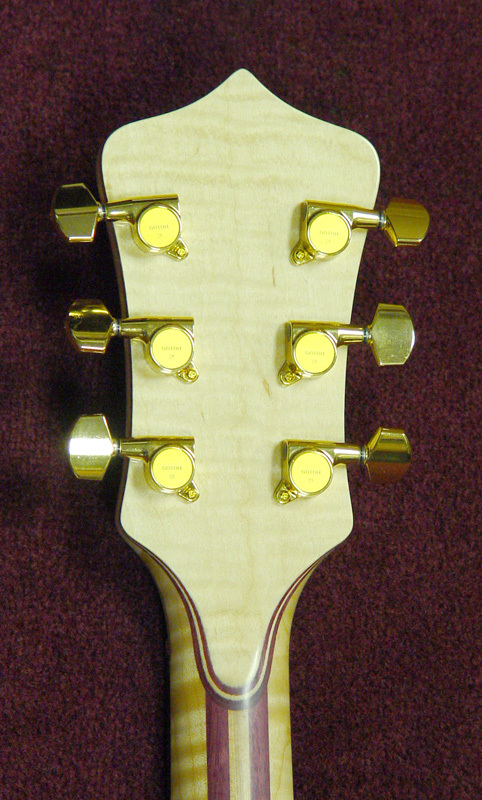 As far as playability goes, this neck is smooth and fast with the satin feel. We setup with a very low action that can easily be raised at both the bridge and the nut if you play hard. 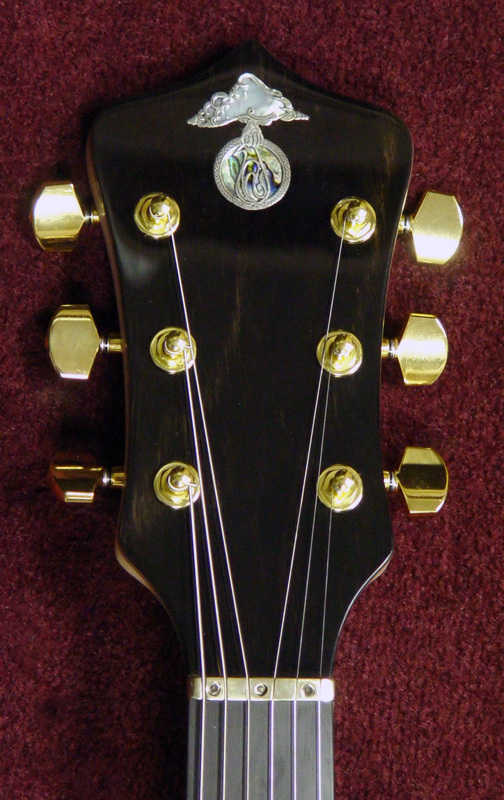 The lower cutaway provides excellent access to all 24 frets.